Coursing was a very complex ritual in Medieval and Renaissance Societies. It typically was an entire ­day affair for royalty, nobility, and upper­ class merchants. It was a passionate sport and the nobility were almost fanatical about it. Entire parties would go out and contribute to the event. The book, "Livre de Chasse (The Book of the Hunt)" by Gaston Phoebus is a fantastically detailed history of coursing during this time period. This book took a scientific and descriptive approach that covered innumerable aspects of hunting and coursing, including the types of game coursed, the varieties of dogs used and their jobs, veterinary medicine, the responsibility of hunters, the hunt masters, and fewterers, the maintenance of kennels, the hunt itself in detail, and proper manners. When most people think of coursing they think of hare. 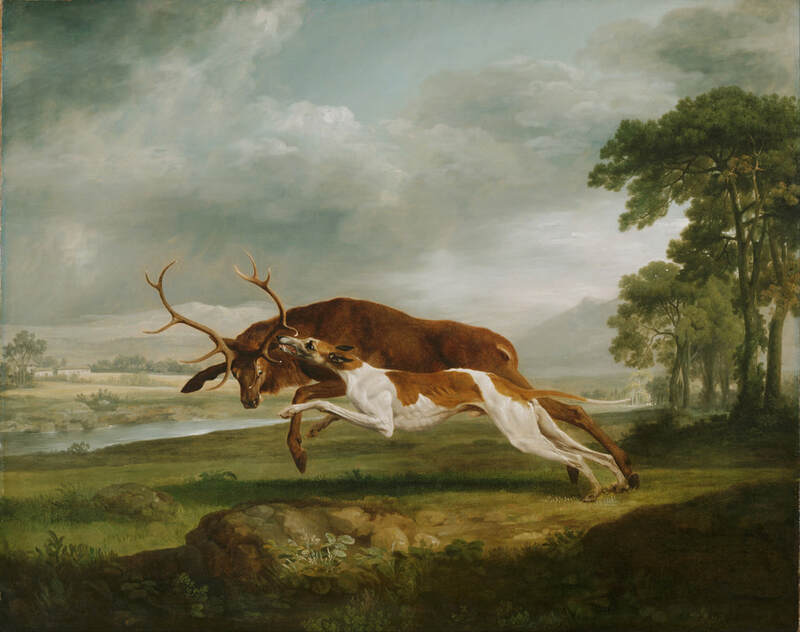 Prey actually varied a good bit and, while hare was definitely a major part of coursing, the hart (stag) and other prey animals were also hunted. The traditional role of Greyhounds and other sighthounds would be chasing the prey animal and forcing turns on it until they can catch (and typically kill) it. They should not ravage the body of the prey animal as the animal should be able to be consumed by humans. Hounds were traditionally rewarded for their work and return with some of the kill.